With school out, summer is the perfect time to get kids involved in outdoor activities. Central Alabama has a bevy of family-friendly hikes that are just right for shorter legs and shorter attention spans. Throw a bit of history into the mix with Mother Nature, and you've got a recipe for an educational adventure the exercises both mind and body. Here are five of our favorite historic hikes that make creating fond memories child’s play. 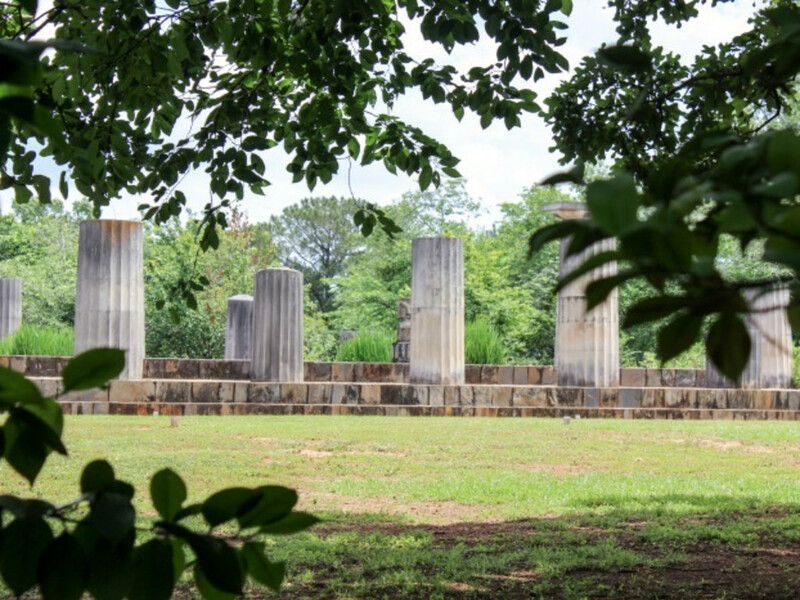 Discover Alabama’s metal-making past at this 1,500-acre park in McCalla, near Birmingham. Several scenic trails wind through forest and fields, tracing the paths used to transport the raw materials needed to create iron to the site’s massive stone furnaces. Though long dormant, the remains of the furnaces are still sitting beside bubbling Roupes Creek and can be accessed by a trek along the Furnace Trail. Iron Haul Road Trail is another popular trek in the park that runs alongside a slave cemetery. A museum full of iron-making tools is also onsite, as are vintage cabins and a cotton gin. In Birmingham, this 1,000-acre nature lover’s nirvana also pays tribute to the area’s industrial heritage. Much of its hilly lands were once mined for iron ore that was utilized at nearby Sloss Furnaces. Twelve miles of trails traverse the preserve, ranging from easy to strenuous, but Crusher Trail is fairly short (0.7 miles) and ends with views of giant rock crusher used by miners. The Quarry Trail (1.2 miles) leads to a limestone quarry where hikers can look for exposed fossils. Check the website for upcoming Mine History Hikes. Led by an expert guide, these free events allow visitors to see mine openings and mining relics that are often overlooked. 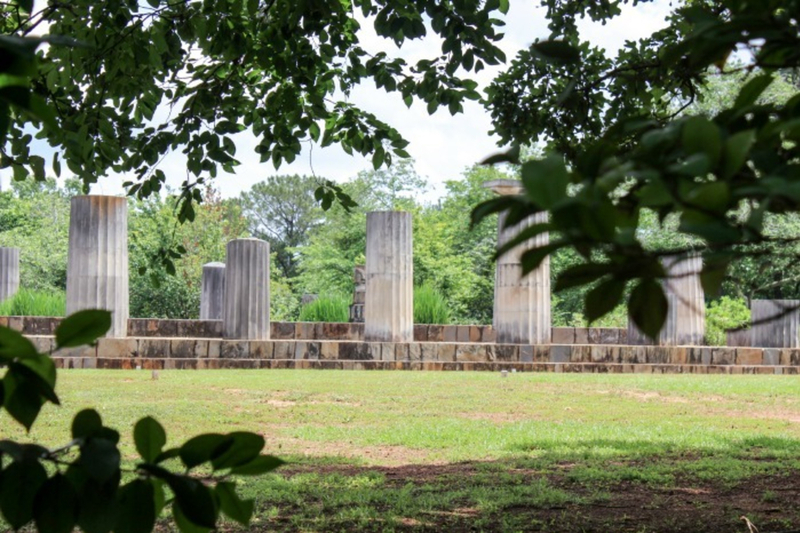 Find a bit of ancient Greece in Wetumpka, Alabama, at this 20-acre garden with more than a mile of paved trails set among hundreds of species of flowers, shrubs and trees. What sets this place apart though are the many stunning sculptures representing mythical gods and Olympic heroes sprinkled among the colorful blooms, including replicas of some of the most famous classical statuary like “The Dying Gaul” and “Venus de Milo.” First opened in 1928, it has continually grown, and today to includes shady nooks, gurgling fountains, even a full-sized replica of the Temple of Hera ruins. In 1996, the Olympic torch, herald of the modern Olympics, made a stop at Jasmine Hill on its way to open the Games of the XXVI Olympiad in Atlanta. Check the website to find a scavenger hunt list that will keep kids engaged. 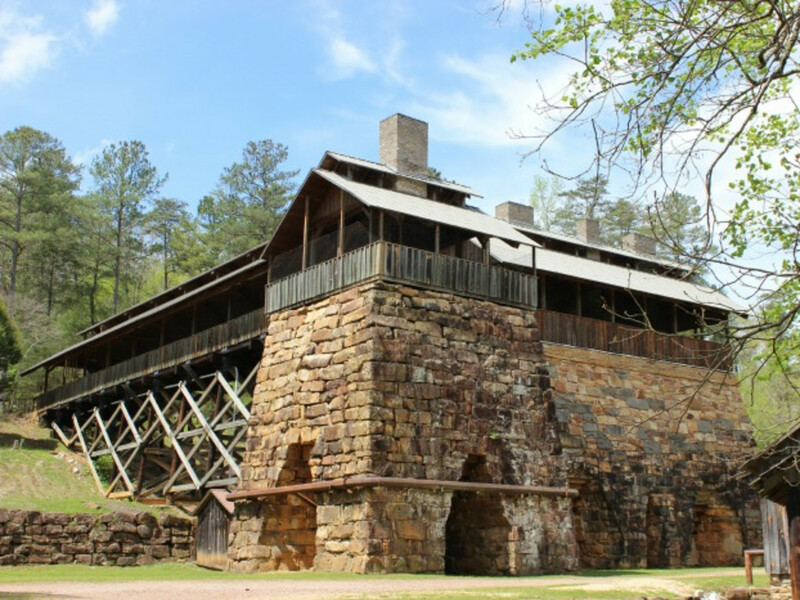 Travel back in time and uncover some of Alabama’s earliest recorded history at this 165-acre site in Wetumpka were the Tallapoosa and Coosa Rivers meet and merge into the Alabama River. It traces its diverse inhabitants back more than a millennium. Explore its 1,000-year-old Native American Mississippian mound, a recreated French fort from 1751 (Fort Toulouse) and the partially restored American compound, Fort Jackson, built in 1814 during the Creek War phase of the War of 1812. Then make your way to the William Bartram Nature Trail, named for famed 18th century botanist, which offers a relaxed, mostly flat hike through wildflowers, bogs and woods. An elevated boardwalk gives way to a narrower dirt path. The trail is a stop on the Piedmont Plateau Birding Trail, so watch for winged wildlife. Or just listen. A wide variety of songbirds inhabit the areas around the trail. In addition, the park often hosts living-history events that only add to this special spot’s appeal. An easy, 1.5 mile trail loops around the Confederate Memorial Park, a 102-acre site near Clanton that occupies an area that was once Alabama’s Old Soldiers Home, a spot where veterans of the Civil War lived out their final years. The last veteran living there died in 1934, and the facility closed in 1939. Today the park includes a museum with Civil War artifacts, including vintage uniforms and weapons, a research facility, an old post office and church, ruins of the cottages, hospital and mess hall that served the aging men, and the final resting places of more than 300 soldiers. The trail is dotted with signage identifying flora and fauna as well as markers that outline the site’s and its former inhabitants’ stories.